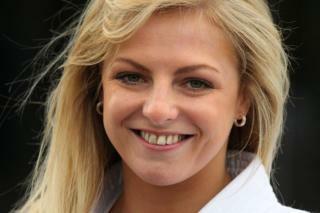 Tha an neach-judo Stephanie Inglis, a bha gun mhothachadh às dèidh tubaist rathaid ann an Bhietnam, a' tilleadh dachaigh a dh'Alba. Thuirt neach-labhairt airson a teaghlaich, à Deimhidh faisg air Inbhir Nis, gun robh iad a' dèanamh air Dùn Èideann. Chan eil e soilleir fhathast dè an t-ospadal anns am faigh Stephanie, a tha a' fuireach an Dùn Phàrlain, cùraim. Thuirt doctairean ann am Bhietnam an toiseach gur e cothrom 1% a bha aice fuireach beò às dèidh na tubaist ann an Ha Long. Ann am brath air an duilleig Facebook Save Steph, chaidh a ràdh gu stad i ann an trì dùthchannan eadar-dhealaichte air an t-slighe dhachaigh. Thuirt iad cuideachd gun rinn i gàire airson a' chiad turas bho fhuair i a mothachadh air ais is a' faighinn seisean fiosio.